This year's Abel Prize has been awarded to the Belgian mathematician Pierre Deligne for "seminal contributions to algebraic geometry and for their transformative impact on number theory, representation theory, and related fields". The Abel Prize was established in 2003 in memory of the Norwegian mathematician Niels Henrik Abel. It's awarded annually by the Norwegian Academy of Science and Letters and makes up for the fact that there isn't a Nobel Prize in mathematics. is said to converge to . converges for any power that is greater than 1. This turns into a function of . For every the value of is the number the corresponding sum converges to. This is quite an intriguing result: what started out as an expression involving all the natural numbers 1, 2, 3, ... turned into an expression involving only the prime numbers. More than a hundred years after Euler, the German mathematician Bernhard Riemann considered Euler's so-called zeta function again, making another remarkable connection and shedding light on a problem that has intrigued mathematicians for centuries: just how are the prime numbers distributed among the other numbers? in other words they correspond to points on the plane whose first coordinate is If this hypothesis is true, then this puts tight bounds on how large that error term can be. 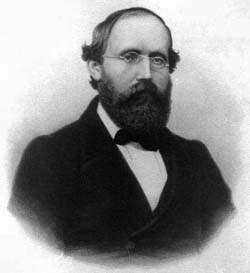 To this day Riemann’s famous hypothesis has not been proved: it presents one of the hardest unsolved problems in mathematics, some would argue the hardest one. So far all this has been about numbers, but Deligne's work has been in a field called algebraic geometry. Where is the connection? Tim Gowers has written an excellent overview of this, so we'll borrow some of his insight to give a cursory glance. defines a circle: it consists of all the points that are at distance 1 from the point . So algebra can define geometric shapes. 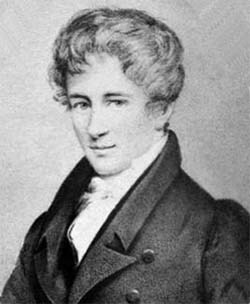 The Abel Prize is named after the Norwegian mathematician Niels Henrik Abel, 1802-1829. In this example the numbers and we considered as coordinates were just ordinary real numbers. But there are other sets of numbers too. We’ve already met the complex ones, but you can also consider the hours on a clock, starting at 0 and going all the way around to 11. They are ordinary natural numbers with the important difference that when adding hours you start again from the beginning when you’ve gone once around the clock. You could do this for any other number too. For example, in a three-hour day you have 2+1=0, 2+2=1 and so on. The numbers from 0 to 2 with this form of addition form what is called the field . Unlike the real, natural or complex numbers, this field contains only a finite amount of numbers. (the number of points in the circle for ), (the number of points in the circle for ), (the number of points in the circle for ), and so on. each number giving the number of solutions that exist for the set of equations in the corresponding field. In the 1940s the mathematician André Weil made a series of conjectures about functions derived in this way which came to have a huge influence in mathematics. Some of these are the exact analogue of things that were already known about Riemann’s zeta function. And one of them, concerning the zeroes of the functions in question, is an analogue of the Riemann hypothesis. Functions such as above are also called zeta functions. How many such sets are there? It turns out that there is an approximate formula in terms of the number . But it’s only an estimate so again you would like to know information about the error is for each . In 1916 the legendary Indian mathematician Srinivasa Ramanujan suggested bounds for that error term. It later turned out that Ramanujan was right: that's a consequence of Weil's analogue of the Riemann hypothesis. In 1974 Deligne proved Weil's analogue of the Riemann hypothesis in what the Abel Prize citation describes as a "real tour de force". And the citation continues, "Deligne's powerful concepts, ideas, results and methods continue to influence the development of algebraic geometry, as well as mathematics as a whole." The original Riemann hypothesis, though, remains tantalisingly open. 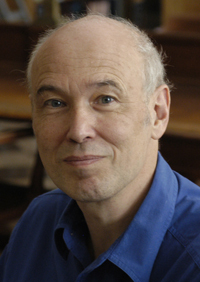 You can read Tim Gower's overview of some of Deligne's work on the Abel Prize website. You can read more about complex numbers and the Riemann hypothesis on Plus. How is (2,0) a solution ?? Am I missing something about multiplying the nos. of F3 ?? It must be a mistake. The only two points that satisfy the equation are (0, 1) and (1, 0). (0, 0), (0, 2), (1, 1), (1, 2), (2, 0), (2, 1) and (2, 2) are the other points from the field, and none of them satisfy the equation.